Kona Coffee is grown only on the Big Island of Hawaii, in a narrow band of land one mile wide and thirty miles long on the south western edge of the island’s volcanoes Mauna Loa And Hualalai. The Wailapa Valley lies nestled on the side of the Volcano Mauna Loa, Hawaiian for Long Mountain, in the heart of the Kona Coffee district. 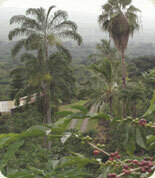 The unique volcanic soil, afternoon cloud cover and annual rainfall well over 80 inches a year make the valley a premier coffee growing environment. At 1800 feet, Left Coast Farm, where the Long Mountain Kona beans are grown, overlooks the Captain Cook monument of Kealakekua Bay and Hawaii's sacred Pu'uhonua o Honaunau, the 550 year old City of Refuge. 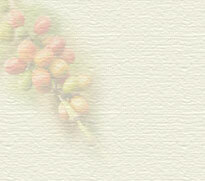 This lush region produces the most aromatic, rich and flavorful coffee in all of Hawaii.